This is triangular Conoco Motor Oils porcelain sign. This particular Conoco Motor Oils sign is predominantly white with green and red text. 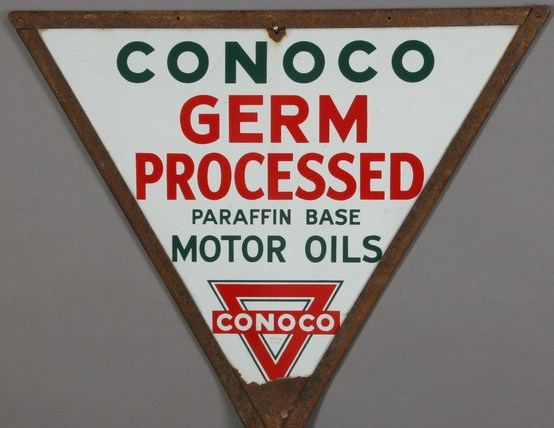 It reads, “Conoco Germ Processed Paraffin Base Motor Oils”.